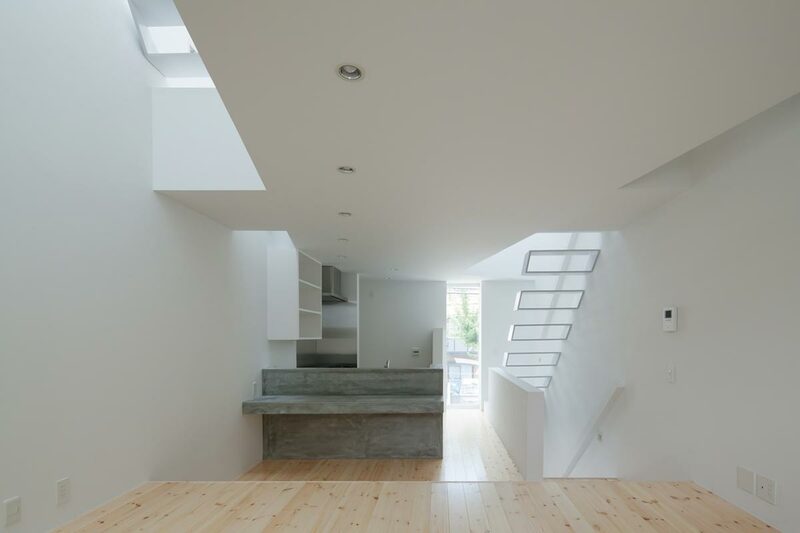 Located on a lot of only 43.21 square meters in Osaka, Japan, the House In Tamatsu by Kenji Architectural Studio is a huge departure from the two-story wooden home that once occupied this site. 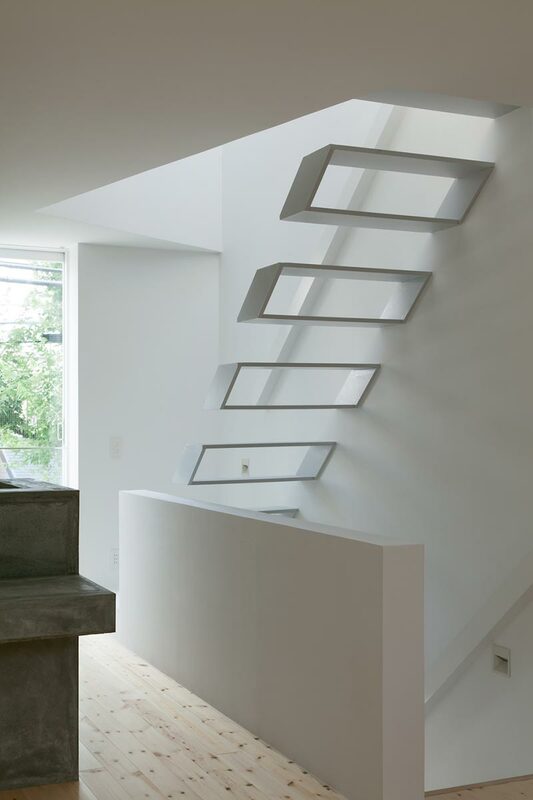 A decidedly minimal structure, the House In Tamatsu is a fresh approach to comfortable living on a small footprint. The outside of the home, rectangular in appearance with trapezoidal accents, is cement board with a galvanized steel sheet batten seam roof. The pure white presentation of the exterior helps set the home apart from its more traditional neighboring properties. Even the steel structural components and accents have been painted in the same color white – which in effect, unites the entire house. The lifestyle of the homeowners dictated that the wet areas and master bedroom be positioned on the ground floor. The family room is placed on the first floor, the rooms of the children on the second floor, followed by a rooftop terrace. 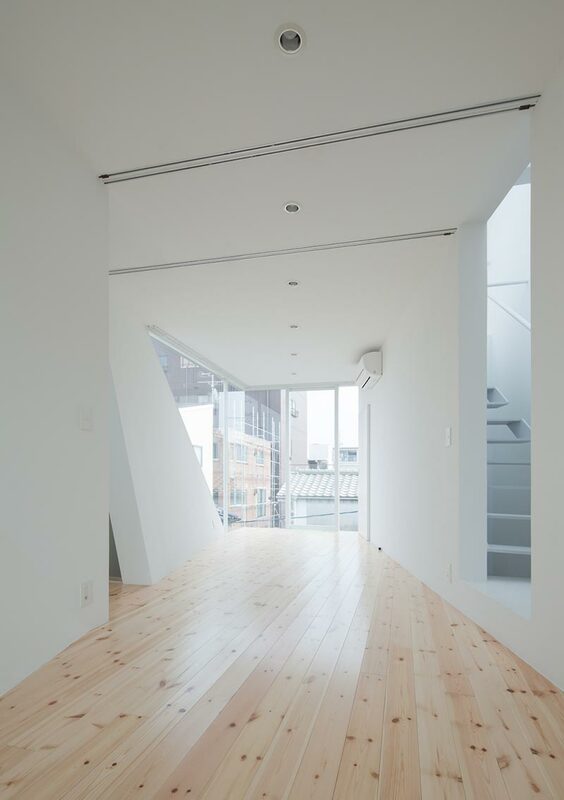 This interesting floor plan, combined with the small footprint of only 32.75 square meters, meant that some creative techniques must be incorporated in order to allow for an open and airy layout. The second floor itself is actually rotated 14 degrees from the central axis of the building. In doing so, this created “voids” between the level and the exterior walls. 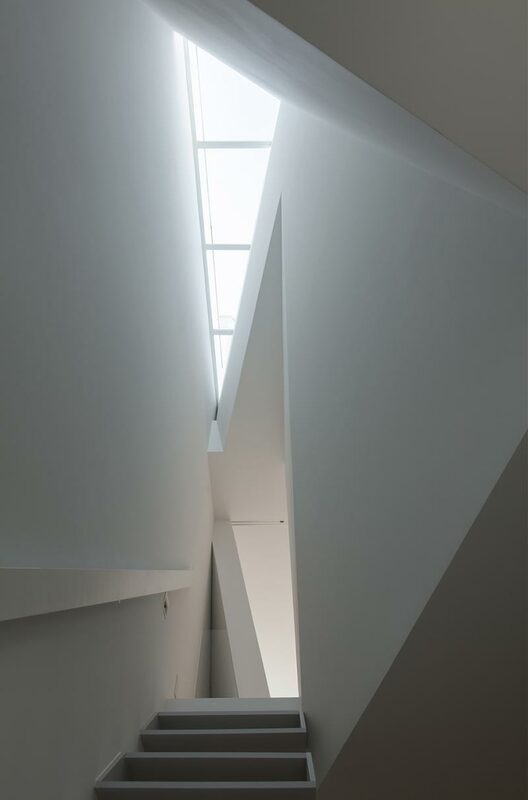 At the top of each these voids sits a skylight to allow natural light to penetrate nearly all areas of the home. 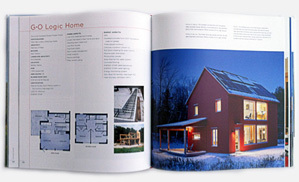 This was a creative solution to a problem that structurally limited exterior openings. 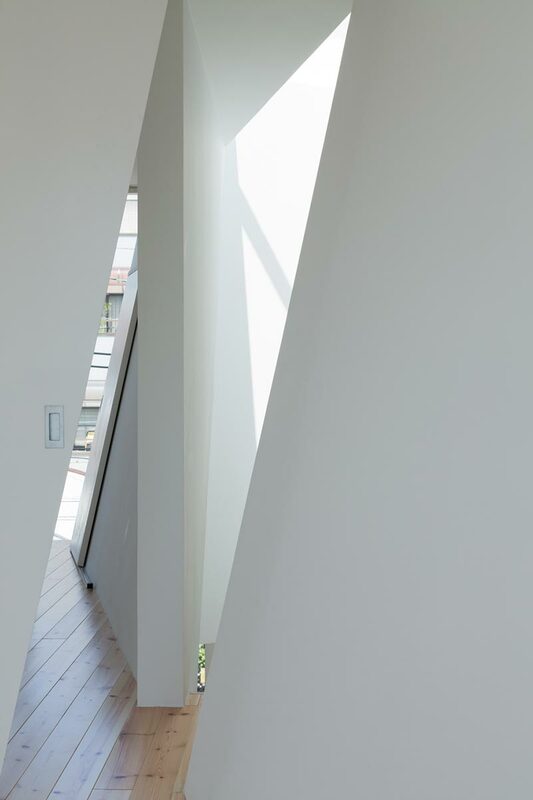 The creative joining of the interior and exterior walls, coupled with a box-like floating steel stairway and additional interior support joists actually wind up giving the home an “origami” look and feel. Simple pine timber flooring throughout adds an elegant touch which helps to offset the crispness and pureness created by the stark white palette. 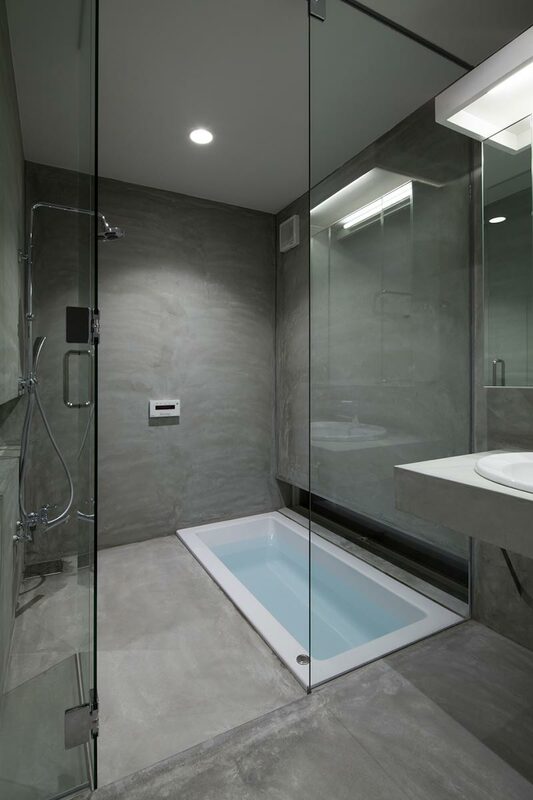 A design focal point within the home is the concrete kitchen installation – which is echoed in the main bath – where floor to ceiling concrete encapsulates a glass “wet area” and sunken bathtub. 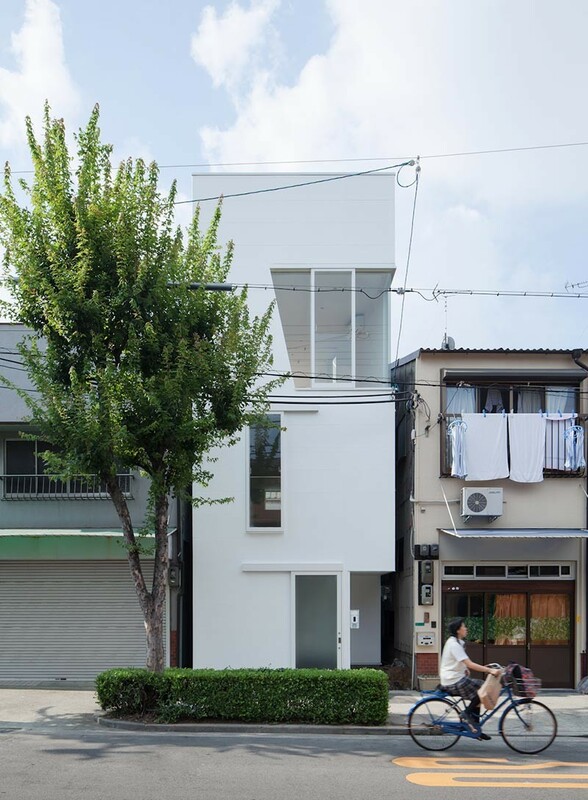 All in all, Kenji Architectural Studio, has created a 94.46 square meter residence that takes modernism and simplicity to bold new heights.